The Internet is chock full of websites claiming to offer accurate advice on all aspects of menswear (cough, cough). 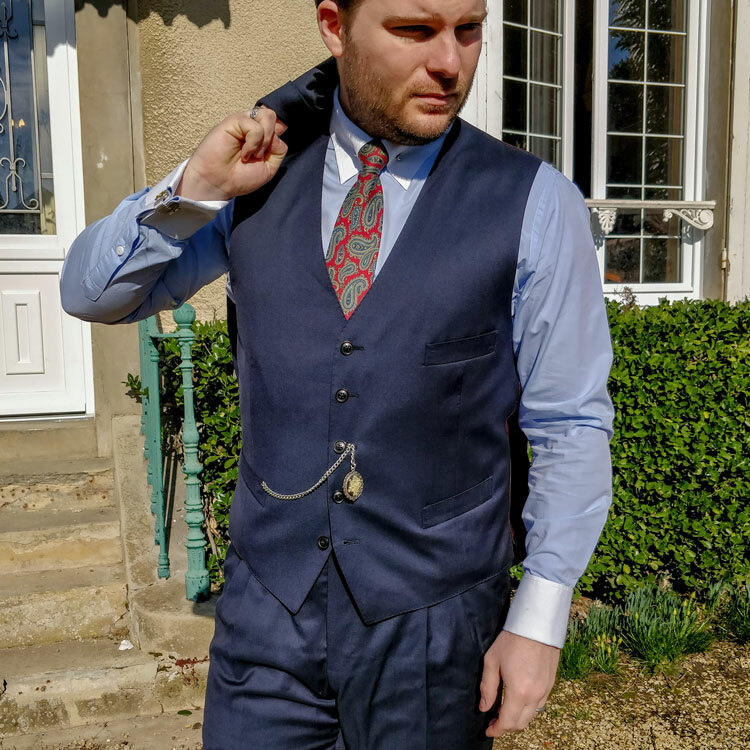 While there are sites like Bespoke Unit that offer high levels of value, just about anyone who knows anything about clothes will agree that one man literally wrote the book on how men can remain permanently fashionable. That man is Alan Flusser. His seminal book, Dressing The Man: Mastering The Art Of Permanent Fashion, is something truly special. Any man who’s interested in tailored clothing must buy it. Not only is it an excellent reference tool complete with drawings and a glossary, it’s also a history tome. This is where I find the most value. It’s one thing to know the rules of dressing, but it’s quite another to know where they come from and thus truly understand them. Only in this way can we know the rules so well as to break them. The current menswear community owes a lot to Mr. Flusser. Before reviewing the book, it’s helpful to know a bit about Alan Flusser. The author of Dressing The Man, he wears many (presumably bespoke) hats. He’s an author. He’s a menswear historian. He’s a custom tailor with a shop in New York City, Alan Flusser Designs. When Flusser went to meet Douglas in his apartment, he was wearing suede shoes, a double-breasted suit, horizontal striped shirt, and pinned collar. Flusser remembers Douglas saying to him, “I want to look like you.” With this, the 80’s “power suit” look was further popularized, with Flusser’s signature all over it. Dressing The Man isn’t Flusser’s only book (he also penned Clothes And The Man and Style And The Man), but it is his most influential, and certainly his most useful. This is a book that needs to be in the library of every budding clothes enthusiast because it teaches every important concept in menswear in plain English and elegant prose. It is based on the premise that there’s such a thing as “permanent fashion.” No matter what the whims of fashion designers are from season to season, the permanently fashionable understand that looking good is all about proportion: there’s a reason that there are menswear rules about how much shirt cuff to show when wearing a jacket, or how to use color contrast to your advantage. It is because clothing isn’t about what’s hot at the moment. It’s about mastering the proportional relationships of garments in relation to each other and in relation to your body. Flusser teaches us how to do just that. The book starts by going back in time to what Flusser refers to as the “Golden Age” of menswear: the early 1920’s-late 1930’s, or the period between the two World Wars. It’s equal parts a celebration of how the average Joe used to dress and a lament on how the average Joe dresses now. The focus on history is paramount throughout the book. We don’t just learn why articles of clothing work together, we learn where each one comes from. This breeds a deep understanding of the “rules,” thus allowing the reader to develop his own style and bend those rules when appropriate. Throughout the book, there are tons of pictures and illustrations. There’s plenty of inspiration to be had with so many pictures of menswear greats like the Duke of Windsor, Fred Astaire, Cary Grant, and Douglas Fairbanks, Jr. in there. Not only are there plenty of visuals, but those visuals are used in a pedagogical way. Flusser clearly explains why the clothes work, or why they don’t. Its chapters are organized in such a way that you don’t have to read everything all at once. If you want to learn about how much shirt collar should be showing above your suit jacket collar (.5″-.75″, for the record), go to the suit chapter. If you want to learn about the history of the brogue, go to the shoe chapter. If you want to learn about how to coordinate patterns, go to the chapter that talks about pattern coordination. This is a one-stop shop of a book for tailored menswear. 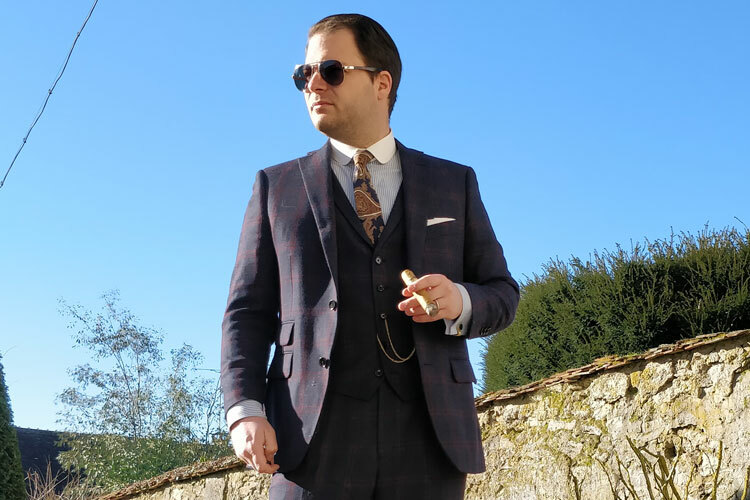 Reading it will make you an informed consumer to the point that you can will be able to which suit to buy for any occasion and manage how it looks through the tailoring process as well. We cannot understate the value of this information. Again, there are visuals on nearly every page. This is obviously a huge help when talking about how clothes are supposed to look. The book isn’t written in a snarky, elitist way. The language is easy to understand and Flusser’s aim is to be inclusive of anyone who’s interested in improving their menswear knowledge. You don’t have to read it all in one fell swoop. It’s organized more like a textbook with standalone chapters as opposed to a novel where each chapter builds on the previous one. Business casual gets its own chapter at the end. As this is a dress code that causes more confusion than it provides guidance, this is one of the most helpful chapters in the book. The glossary at the end is extensive to say the least. Flusser suggests that smart dress shoes look best with tailored trousers. The only con of the book is that it seems to view the interwar period as the only era of menswear worth replicating. From the philosophical standpoint that men were better dressed generally then than they are now, that’s valid. On the other hand, newer interpretations of fit and styling are not mentioned. This could be a function of the book’s age (it was published in 2002), so this is a hesitant “con” we’re giving. Flusser really, really advocates for pleats, especially with braces. While we certainly see value in pleated trousers for certain body types, this is a bit dated. A tie with a deep dimple below the knot, just as Flusser advises. Chapter 4, The Prerogatives Of Pattern, is easily one of my favorites. You will learn everything from how to mate two patterns of the same design to mixing four different patterns all at once. While extreme pattern mixing is often abused by those more excited to show their skill as opposed to dress for the occasion, it’s still an important concept to learn, and Flusser does a great job explaining it. The photo of Adolphe Menjou at the beginning of Chapter 10, Foot Decorum, shows him at what can only be described as his stable of shoes. Fun fact: Adolphe Menjou was a Golden Age of Hollywood dandy whose autobiography is called It Took Nine Tailors. When discussing color contrast, actually being able to see how the garments around the face will affect the color of the eyes and skin undertones. It’s a “come to Jesus” moment, for sure. There is no one author and no one book who has influenced modern menswear culture like Alan Flusser and Dressing The Man. In fact, we would wager that 100% of the menswear bloggers currently in existence would cite Flusser as an influence on them. If you’re a menswear newbie or looking for a gift for a man who loves clothes and style, this is the book for you! Reviewed by Michael Oxman on May 12, 2017 . "Super informative, helpful book. Amazing!! Flusser is a giant of the menswear industry. 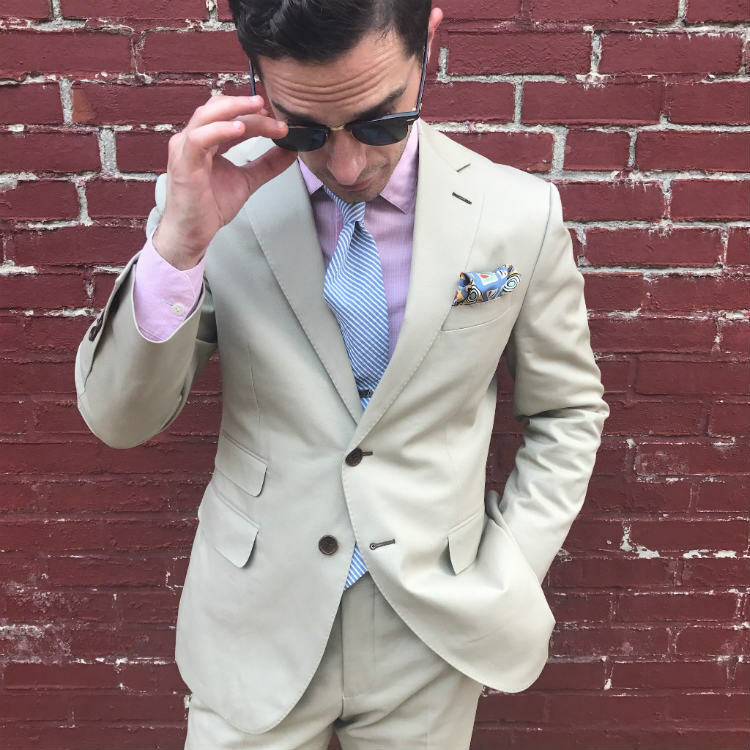 As a tailor and sartorial historian, his advice is perfectly timeless." Michael is a husband, father, clothes horse, musician, and Asian food enthusiast. When he's not blogging or changing diapers, he's playing bass guitar and singing in his Beatles tribute band.